In this meditative memoir—a compelling fusion of Barbarian Days and the journals of Thomas Merton—the author of Saltwater Buddha reflects on his “failing toward enlightenment,” his continued search to find meaning and a greater understanding of the Divine in the world’s oceans as well as everyday life. 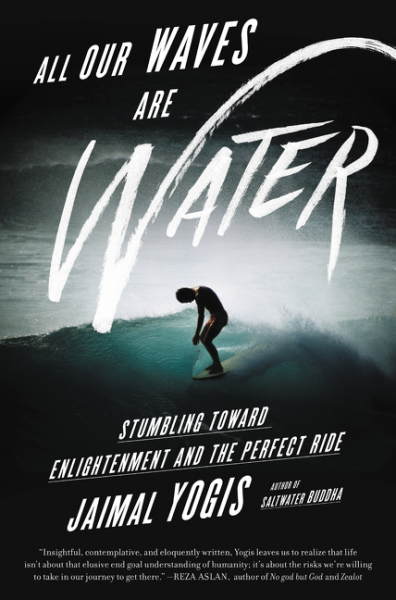 For Jaimal Yogis, the path to enlightenment is surfing. Between water and air, between control and surrender, between the tangible and intangible realities of life, the spiritual can be found. Born to a family of seekers, he left home at sixteen to surf in Hawaii and join a monastery—an adventure he chronicled in Saltwater Buddha. Now, in his early twenties, his heart is broken and he’s lost his way. Hitting the road again, he lands in a monastery in Dharamsala, where he meets Sonam, a displaced Tibetan. To help his friend, Jaimal makes a cockamamie attempt to reunite him with his family in Tibet by way of America. Though he does not succeed, witnessing Sonam’s indomitable spirit in the face of failure offers Jaimal a deeper understanding of faith. When the two friends part, he cannot fathom the unlikely circumstances that will reunite them. All Our Waves Are Water follows Jaimal’s trek from the Himalayas to Indonesia; to a Franciscan Friary in New York City to the dusty streets of Jerusalem; and finally to San Francisco’s Ocean Beach. Along his journey, Jaimal prays and surfs; mourning a lost love and seeking something that keeps eluding him, until he ultimately finds what he’s been looking for—that the perfect ride may well be the one we are on right now. The poet Rumi wrote, “we are not a drop in the ocean. We are the ocean in a drop.” All Our Waves Are Water is Jaimal’s “attempt to understand the ocean in a drop, to find that one moon shining in the water everywhere”—to find the Divine that unites us all. Jaimal Yogis is an award-winning writer, outdoorsman, and frequent teacher. 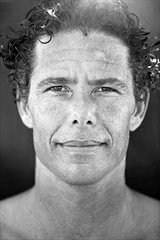 He is the author of the memoir Saltwater Buddha, which has been made into a feature documentary film, and The Fear Project: What Our Most Primal Emotion Taught Me About Survival, Success, Surfing, and Love. A graduate of Columbia Journalism School, he has written for ESPN: The Magazine, the Washington Post, the Chicago Tribune, San Francisco magazine, Surfer’s Journal, and many other publications.He lives in San Francisco with his wife, Amy, and their three sons. 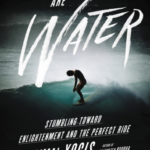 Defining Jaimal Yogis’ most recent book, All Our Waves Are Water, proved difficult for me. As I was describing the book to friends and family, I said, “well, it’s kind of a travel memoir, but it’s also about spirituality and physics and neuroscience and surfing.” The truth is, that book is all of those things, but it’s also the perfect example of a finished product, a whole work, being much greater than the sum of its parts, because it’s also about creativity, finding your own path, and practicing self-care. And it went on from there. Yogis’ writing is sophisticated, but still accessible. He’s sometimes funny, but his humor is the organic kind that is inspired by ordinary life. He’s candid, but never treads into TMI territory, and when he does discuss deeper subjects he does so in a way that is both informative and insightful. He never panders, but assumes that his audience can keep up with the shifts between tone and topic. 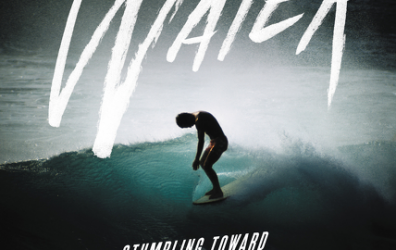 If you’re looking for a smarmy attempt to convince you to learn surfing and take up meditation – you won’t find it in All Our Waves are Water. But… if you want to spend a few hours feeling like you’re having a conversation with a man who’s sharing some of his own experiences and life-lessons, you should read this book. No, you should devour it – absorb it the way I did. Goes well with a mug of hot coffee and fresh scones, preferably enjoyed on a chilly coastal morning, while gazing at the ocean. Deadline is 11:59 PM CDT on Friday, August 4th. Winner will be notified by email.